Brion Kirsch practices in Pullman & Comley’s real estate, commercial finance, green development and financial restructuring groups representing clients on all aspects of real estate, leasing, finance, development and general transactional matters. National, regional and community banks as well as other types of lending institutions and borrowers rely on Brion to represent them in both asset-based and real estate-based financial transactions, including interest-rate swaps, tax credit transactions and renewable energy project financing. Commercial real estate developers, property owners and occupants seek his extensive experience in helping them with the acquisition and sale, land use, creation of common interest communities, construction, financing, commercial and residential loan workouts, loan restructuring and leasing for both landlords and tenants. His experience also encompasses "green" leasing and leasing for cell-towers and renewable energy project development including drafting and negotiating complex renewable energy power purchase agreements, site leases/easements, interconnection agreements and renewable energy certificate/credit purchase agreements for projects located throughout the country. Brion's work in other commercial financing transactions includes representation of the State of Connecticut on various grant and loan programs designed to provide financial assistance to both private entities and municipalities for a wide variety of purposes and objectives, and transactions involving new market, historic and low-income tax credits. Additionally, Brion has experience representing joint ventures and privately held/closely held businesses and their owners with regard to general business matters including the drafting and review of contracts of all types (including franchise agreements, licenses, group purchasing agreements and software/technology agreements), corporate and organizational issues and business financing. 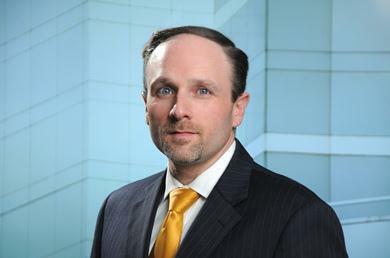 Brion is listed in The Best Lawyers in America in the area of real estate law, and was named to the Super Lawyers "Connecticut Rising Star" list from 2014-2017 in the areas of real estate, securities and corporate finance. In 2013, he was a recipient of the 2013 Connecticut Law Tribune's "New Leaders in the Law" award. Represented lead lender, administrative agent and arranger in connection with a syndicated lending transaction to a large regional petroleum product wholesaler that included multiple credit facilities in the aggregate amount of up to $178 million, interest rate swaps and risk participation agreements. Represented developer in connection with structuring and closing a $70 million multi-tranche credit facility for working capital, capital expenditures and possible acquisitions. The deal included the pledge by the developer and the guarantors of the credit facility of the ownership interests in more than 120 different entities. Represented solar-panel developer in connection with structuring and closing construction and term financing for several leasehold sites on retail facility rooftops in New Jersey, Massachusetts and Connecticut for the construction and maintenance of solar panel installations and a 5MW ground facility in Connecticut. Represented lender in $74.15 million commercial portfolio loans for Boston-area apartment buildings containing nearly 600 units plus commercial retail and office space; all loans were done in connection with interest rate swap transactions. Represented lender in $26 million loan transaction secured by a leasehold mortgage on a sub-ground lease estate of six acres improved with a 235,000 square foot building. Local counsel for lender in connection with construction, line of credit and revolving credit facilities in the aggregate amount of $582 million to build new power plants which were secured by leasehold guarantor mortgages. Represented national management company in connection with leasing office and retail space in Connecticut, Massachusetts, Washington, D.C., Virginia, Florida and North Carolina, including drafting lease agreements, license agreements, building entrance agreements, kiosk license agreements, roof-top license agreements, management agreements, broker agreements and amendments to all of the foregoing. Represented regional retail chain in connection with leasing anchor locations in shopping centers in New Hampshire, Connecticut, Massachusetts, New Jersey and Delaware ranging from 25,000 - 84,000 square feet. Represented national petroleum products company with over 400 retail operations in the Northeast in connection with its acquisition, leasing (both as landlord and tenant) of gas stations sites, drafting and negotiating dealer sales agreements and franchise agreements governed by Petroleum Marketing Protection Act, the eviction of tenants and foreclosures of financing provided to dealers and franchisees in connection with the fit-out of retail locations. Represented several developers and property owners in connection with the acquisition and sale of commercial real estate, including, structuring and closing of acquisitions and sales, financing, leasing, cell tower leasing agreements, development (including land use approvals), drafting and negotiating construction and construction management agreements, creating common interest communities (both fee and leasehold interests) and tax-deferred 1031 exchanges. Represented the State of Connecticut in connection with various loans and grants under a variety of funds and programs, including the HOME Investment Partnership Program, Affordable Housing Program, Housing Trust Program, Manufacturer's Assistance Act, Urban Act, Small Business Express Act, EPA Revolving Loan Fund, Dry Cleaning Establishment Remediation Fund and Targeted Brownfield Development Loan Program. Local counsel for private equity fund in connection with $41.64 million acquisition of a 294-unit housing development in Connecticut. Represent various business (both privately held small companies as well as publicly traded large companies) in all aspects of general business and corporate governance, including, including the drafting, review and negotiation of contracts of all types and subject matters (including services and vendor agreements, franchise agreements and licenses, software/technology licensing agreements), corporate and organizational issues, governance issues and business financing. Represented developer of wind farm in Colebrook, Connecticut in connection with the approximately $18 million in construction to permanent financing.